That catchy ditty from the Macbook Air commercial? "New Soul" by Yael Naim. 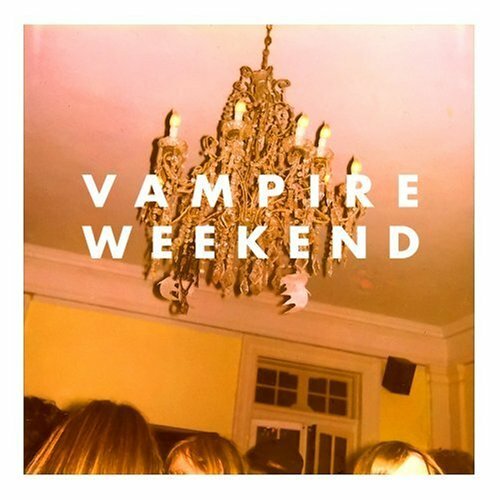 Okay, I could barely fit on the bandwagon by the time I climbed on board a few weeks ago, but the new Vampire Weekend album is a lot of fun. You can preview a few of the tunes at their MySpace page, and you can also snag the MP3s from Amazon's MP3 store where it is currently the number one album. I thought this would be the year that broke my Sundance visit streak, but a few last-minute breaks brought me back out to Park City for opening weekend. One of the movies I caught out there was U2 3D. It was, flat out, the most immersive 3D movie I've ever seen. The technology has come a long way. You still wear goofy-looking glasses, but the 3D technology (this movie used tech by 3ality Digital) has come a long way. It's even more impressive than the 3D from this summer's Beowulf which I thought was decent. It's hard to imagine ever watching a plain old 2D concert movie and being satisfied. 3D is all grown up. The celeb-packed screening was like a rock concert. During the introduction of the movie, when Geoff Gilmore, director of the Sundance Film Festival, uttered the words, "Ladies and gentleman, the greatest rock band in the world...", all I heard afterwards was a collective eruption from the crowd as everyone shot out of their seats and clapped like pre-pubescent girls at a Hannah Montana concert. Even if you're not a U2 fan, the movie's worth seeing to experience what I believe is a groundbreaking moment in the evolution of film technology. Here's one of my pics from that screening. 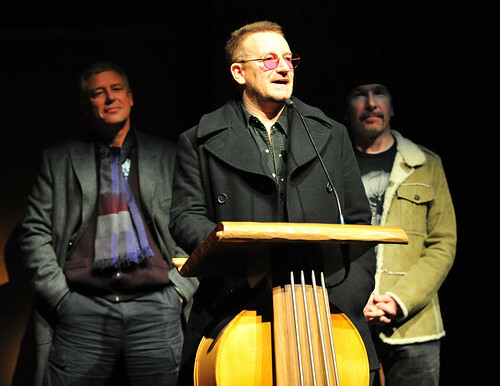 A handful of my other pics from Sundance are here. Gnarls Barkley has a new album coming out April-ish, and one of the tunes that's leaked off of it is "Run." The label is playing whack-a-mole and pulling it down wherever it pops up, but if you're persistent and web-saavy you can probably catch it somewhere. It's funkalicious.